After a violent incident, it is not uncommon to find that people were aware of clues that violence was being planned. This is because most violent incidents often follow an evolutionary process where signs and indicators can be seen. Yet, without a clearly defined process to gather information and assess the situation, violence prevention is extremely difficult. This webinar provides a communication and decision-making model to help businesses, schools, organizations, and communities become more effective in their management of threats. 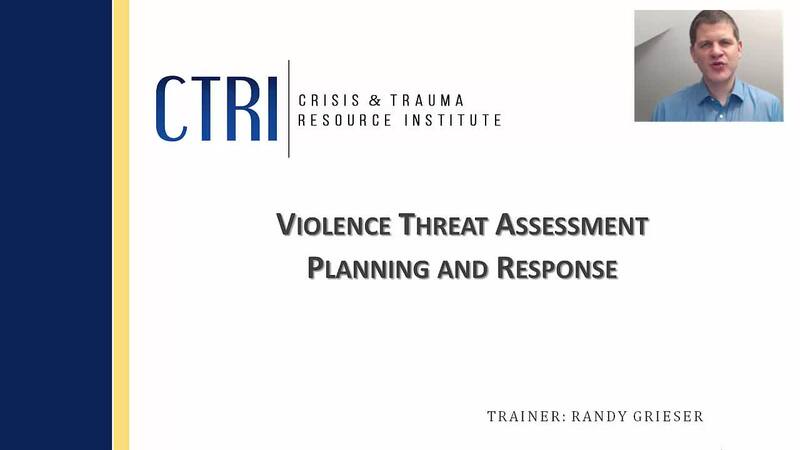 Viewers will learn strategies to help them identify, assess, and manage individuals who may be escalating towards violence. SKU: 114. Category: CTRI Webinars.